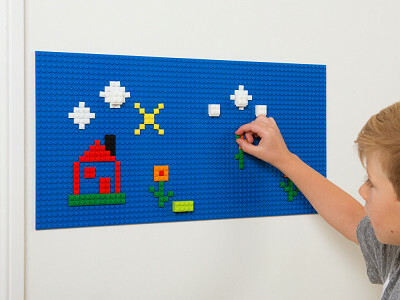 Brik Tiles let kids get artistic on virtually any flat surface. The tiles turn a wall, table, door, or almost anything smooth into a pegged canvas they can decorate with their own colorful brick masterpiece. The tiles are removable and reusable. So you can stick them on walls, furniture—even the fridge door—without any worry or damage. The set comes with its own building bricks, but they’re also compatible with ones you might have at home, like LEGO, KREO, and Mega Bloks. 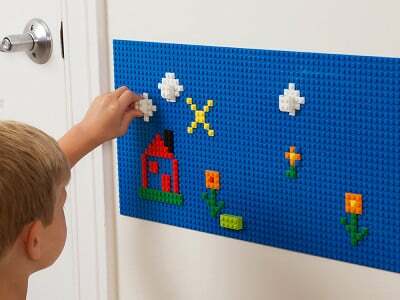 When they aren’t entertaining kids, Brik Tiles can be used to configure more functional contraptions (e.g., brick clips let you hang drawings or pictures from the tile). By moving play areas off the ground, parents will appreciate the clear (toy-less) floor space. We think they might even enjoy creating brick installments of their own, too. Hello, builders of The Grommet! 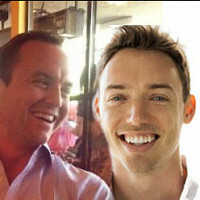 I’m Brett Miller, Co-Founder of BRIK. We build products that inspire play. We're excited to be here and I'm happy to answer any questions you have! What ages would this be safe for? Looks like a great toy! Hi. What makes this stick to the wall? @Anne Hi Anne- The back of each Brik Tile has soft layer with removable adhesive. They're great for flat, smooth walls. We also see them applied to tables, cabinets and refrigerators. Thanks for the info. I will definitely order. Good luck with your launch. does it take the paint off the wall when removed? What a wonderful idea...specially on raining days!!! I understand that this is for ages 5+. have you consider making something like but with larger pieces for children under 3. Just a thought..this is priceless and good luck! @Elizabeth Hi Elizabeth- We've certainly considered it. Duplo blocks also stick to Brik Tiles nicely. Thanks for the feedback! Is this compatible with other building blocks? Legos come to mind. 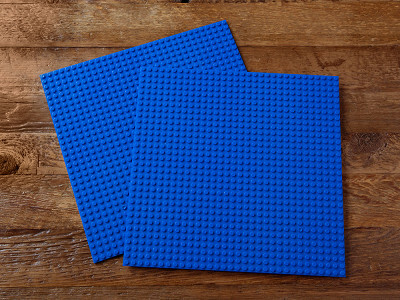 @Matt Hi Matt- Yes, Brik Tiles are compatible with most major brick brands including LEGO. 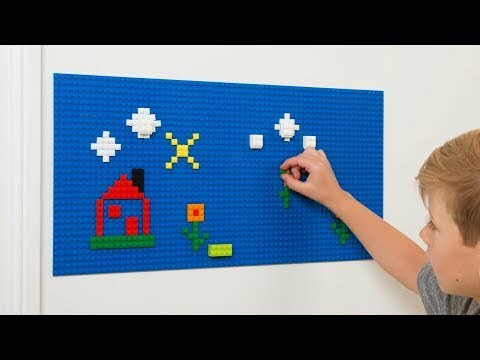 Does this work with the Lego style blocks? @Charles Hi Charles- Absolutely. 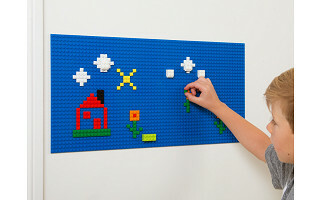 Brik Tiles are compatible with LEGO. Thanks!